Team members of Hilton Pattaya, led by the hotel’s general manager Philippe Kronberg along with Harald Feurstein, general manager of Conrad Bangkok, recently participated in “The 2013 North Face 100 Thailand”, the second edition of country’s Ultimate Trail Running Challenge. 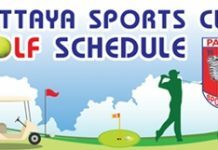 The route started and finished at Villa Paradis hotel, passed fruit plantations and a Thai temple set in the natural surroundings of Khao Yai. 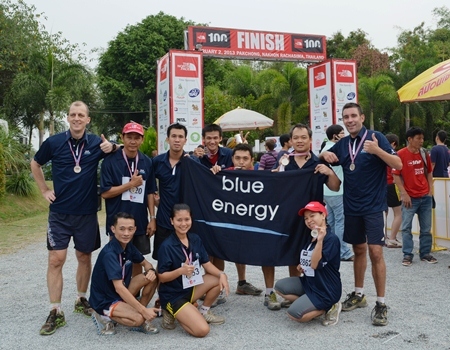 Hilton Pattaya team participated in both the 25 kilometer and 10 kilometer trail runs. Hilton Pattaya team members pose for a photo after completing the North Face 100 Thailand adventure race. Aligning to its concept of “Take only memories, Leave only footprints”, a percentage of the registration fees for the marathon was donated to the Thai Elephants Research and Conservation Fund (TERCF) which supports the largest population of wild Thai elephants in the country. Under the hotel’s commitment to make a difference through community service in Thailand, Hilton Pattaya’s Blue Energy team was honored to take part in the event and help preserve and protect the Kingdom’s natural resources.